"If we do not see the progress the sanctions will have to come. I do not want to negotiate forever," Europe's Justice Commissioner Vera Jourova said. LONDON — The European Union gave Facebook an ultimatum on Thursday: Provide users with more information about how their data is used or face sanctions. The 28-country bloc has been in talks with Facebook for almost two years because it says the tech giant does not comply with its consumer protection rules. "I will not hide that I am becoming rather impatient," Justice Commissioner Vera Jourova told a press conference in Brussels. "Progress is not enough for me. I want to see the results." Facebook's handling of personal data became an international scandal after it emerged that Cambridge Analytica, a firm that worked with President Donald Trump's election campaign, had been able to harvest the data of tens of millions of Facebook users. On Thursday, Jourova said the scandal was a "stark reminder that not many people have clarity of how Facebook uses personal data of its users and how it works with apps, games or quiz creators." Facebook, she said, should update its terms and conditions by Oct. 18 so European consumer protection authorities can check that they comply. She said she wanted to "resolve all consumer issues by December this year." The justice chief did not say exactly what penalty Facebook might face if it doesn't play ball. "If we do not see the progress the sanctions will have to come. I do not want to negotiate forever," Jourova told reporters. "Facebook has almost 380 million users in Europe and I expect Facebook to take more responsibility for them." The Cambridge Analytica scandal put a spotlight on Facebook's since-ended practice of allowing companies to create connected apps that could then take the data of people who opted-in to the apps as well as the data of their friends. Researchers who operated apps that connected to Facebook have said it was easy to stockpile user data. Facebook has already faced one fine over its handling of user data. In July, the United Kingdom's privacy watchdog fined Facebook about $660,000, the maximum possible, after it found the company had violated the data protection laws as part of an investigation into the use of personal data by political campaigns. The E.U. 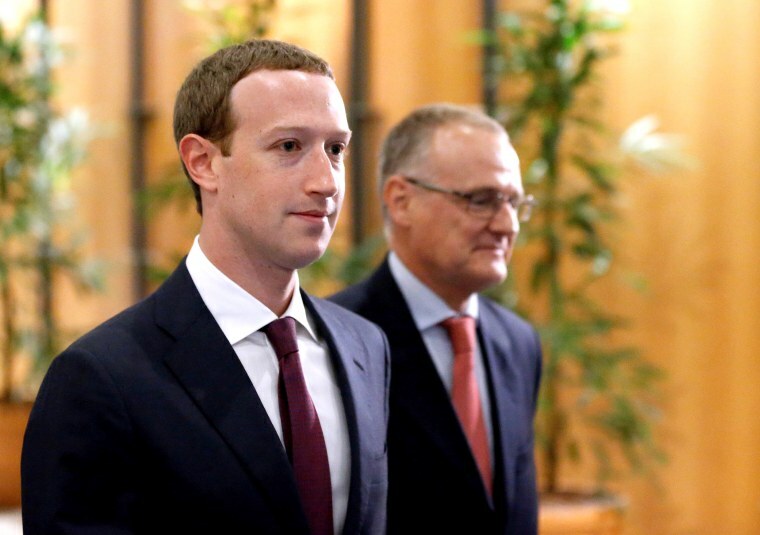 's ultimatum Thursday comes after Facebook CEO Mark Zuckerberg faced tough questions from European lawmakers in May. Another company under the E.U. 's spotlight is Airbnb. Jourova said Thursday that the global rental company had made the necessary changes after accepting them in July. These changes mostly revolve around the guest's right to sue a host in the case of personal harm or other damages. She said that customers using the website before the end of the year would enjoy the added protections. "I asked [Airbnb] to give it as a Christmas present for people," she said. Alexander Smith reported from London, and Jason Abbruzzese from New York.